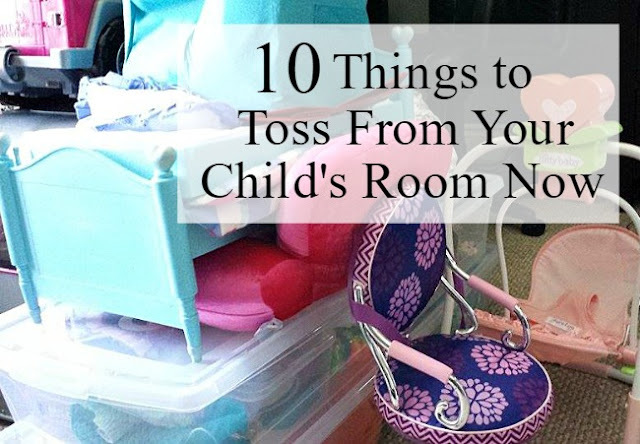 Keeping my children's rooms tidy has always been a chore. It seems like no matter what you do the clutter just seems to multiply. Children like to collect many things and keep everything. I know it our house it has only been in the last 6 months that my daughter has been interested in purging things from her room. 8. Dried out markers or pens that don't work anymore. 10. Trinkets they have no interest in keeping any longer. My best advice is to include your children in this tossing process. If they make the decision to get rid of something there is less chance they will be looking for it down the road. Trust me I am speaking from experience.